Did you know that more than a trillion photos are now taken every year? We’ve come a long way since cameras were first invented 200 years ago, more so in the last few decades than any time before. The arrival of smartphones has completely changed how we take photos, and made us more inclined to take pictures on a regular basis. Photos have gone from being a memento of a special occasion to a way of communicating with our friends and family. Of course, with billions of pictures being taken every day, that means there’s plenty of opportunities for photobombing to occur. These men here are more than aware of this fact. 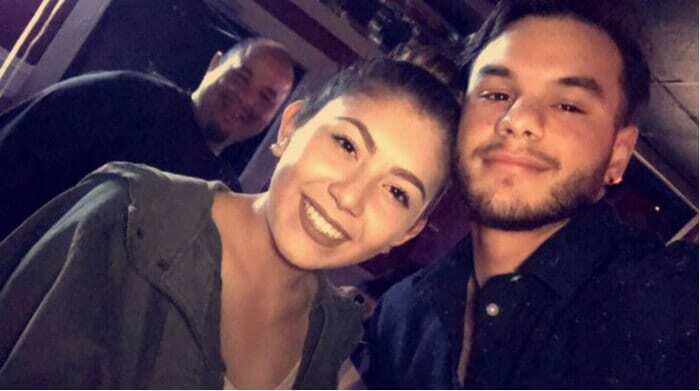 Although photobombing has potentially been around since cameras were first created, it’s only been recognized properly since smartphones have become a household possession. It’s always funny to see the things that people are willing to do to in the background of someone’s photo just to get some laughs, especially as the years have gone on. The bar has now been set fairly high when it comes to photobombing that you have to do something pretty incredible to get your five minutes of fame. While these grown men may not be doing anything revolutionary in their photos, they’re still pretty hilarious to look at. Usually, photobombing is reserved for the younger generations, so it’s good to see that you’re never too old to have a little fun. Celebrities have proved time and time again that they’re not afraid to make fun of themselves when it comes to taking photos. Plenty of A-List celebrities have done photobombs on the red carpet, and it’s always hilarious to see. Some big names reserve their humor for their private lives, though. Take this picture of soccer legend David Beckham. The man has played for teams all over the world, but despite being a hot commodity on the sporting circuit, he still knows how to have a bit of fun. 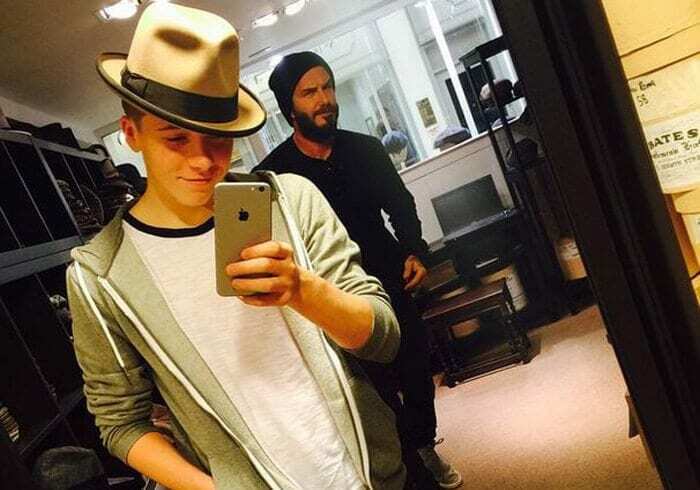 We’re not sure if Brooklyn was aware of his dad lurking in the background when he took this snap. We’re going to go with no. Sometimes people take PDA (public displays of affection) too far. We get that you love each other, but not everyone needs to be a witness to it. This man was clearly not impressed by a couple showing the world how they feel about each other. 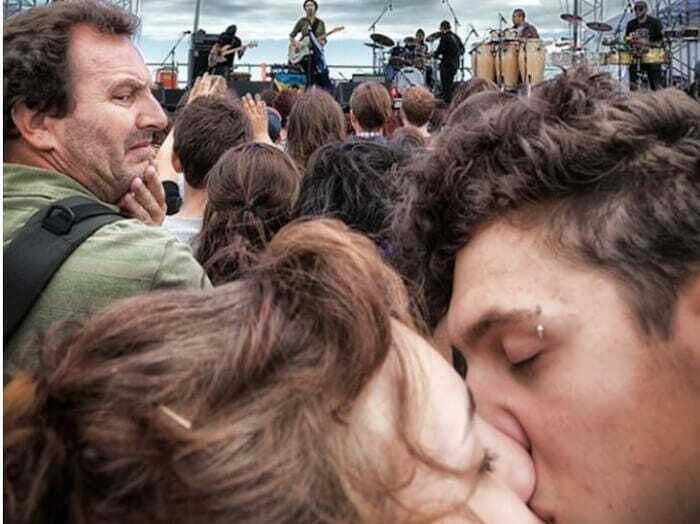 He just wanted to enjoy watching this rock band perform live, but he was too distracted by the young lovers locking lips behind him. Maybe one of them is his child. He certainly has the look of a father who disapproves of their son or daughter’s behavior. Then again, perhaps he just saw them whipping out their phone to take a picture and couldn’t resist ruining the moment. If the last picture wasn’t of a disapproving father, then this one definitely is. 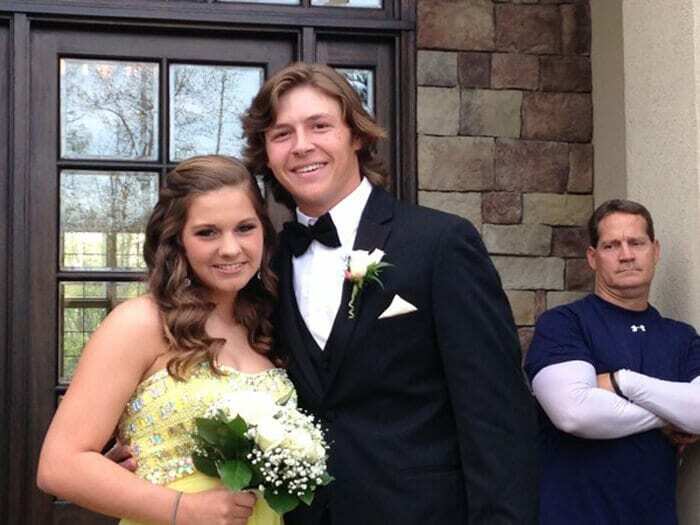 He isn’t too happy about his child’s choice of prom date, and he’s not afraid to show it. We know it’s hard for parents to accept that their kids will grow up one day, and this father is clearly not ready to let go just yet. We hope that their date brought them home right on time after prom. Otherwise, their dad will have even more of a reason not to be happy. When you go on holiday somewhere nice, you want to take pictures to show off to everyone back home. This mother and daughter duo were so in love with the gorgeous landscape behind them that they had to get a picture in front of it. Unfortunately, their photo taking didn’t go undetected. One joker, seeing an opportunity to get all the attention on himself, jumped into the air at just the right time. The pair seems oblivious to the fact that there’s a man acting like a chicken behind them. Young love, isn’t it sweet? Couples love to take nice photos of themselves to put around the house and all over their social media. However, it’s hard to pay attention to the two lovebirds in this photo when there’s something a little more eye-catching in the background. We’re not sure who these guys are, but they obviously have a great sense of humor. They couldn’t resist the perfect opportunity to interrupt an otherwise lovely photo. Even if the camera isn’t focused on them, our eyes certainly are. 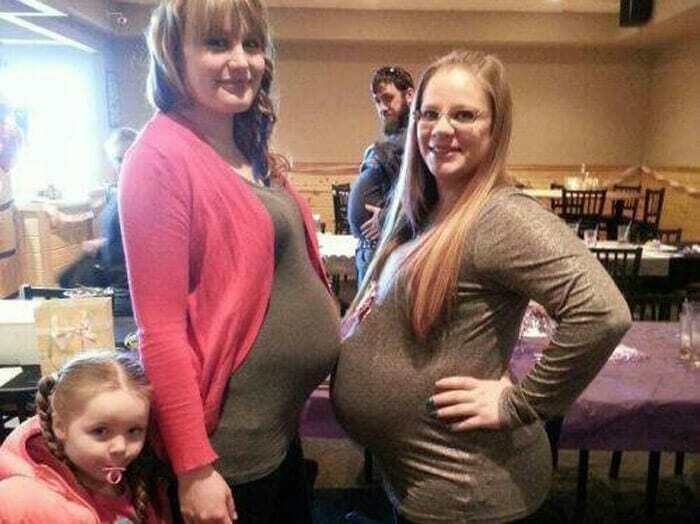 When two friends or relatives are pregnant at the same time, it’s always fun to show off progress together. They’re unified by the same thing, and that connection isn’t easy to replicate. Of course, one man wants to try. Presumably a partner to one of these women, he decided to get in on the action by showing off his own belly. There isn’t a baby growing in there, but that doesn’t mean he can’t play along too. We’re sure that good humor will serve him well in fatherhood. For many kids whose parents serve in the armed forces, growing up is difficult. They don’t get to see their mom or dad as often as they’d like, which is hard for a child to deal with. However, while it may be a struggle, it does mean that having them home is the best feeling in the world. 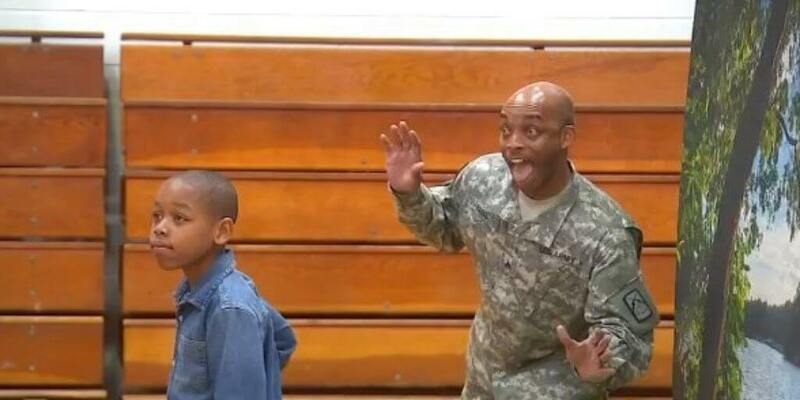 What better way to discover that your dad is back from service than to see he’s photobombed your school picture? This is one reunion that will go down in the history books. 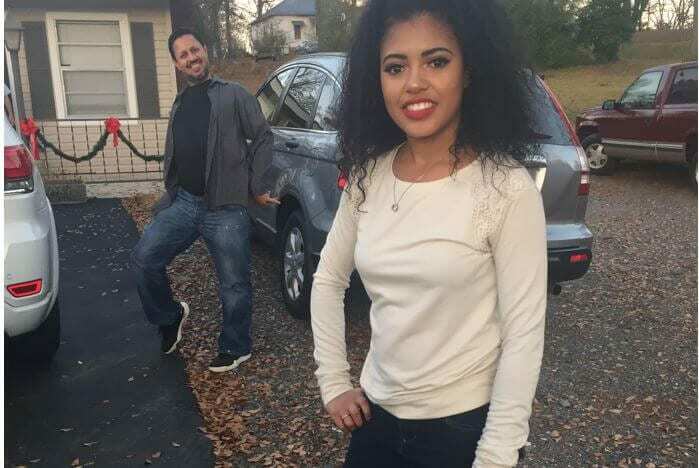 Fathers are known for being fiercely protective of their daughters, but that doesn’t mean they’re afraid to embarrass them at every opportunity. It’s a part of what makes the father-daughter dynamic so strong. This girl was hoping to take a nice photo in her dress for a special night out – prom, maybe? Before she left, though, her dad wanted to remind her that he’s always right there behind her. Literally. This is one photo we’re sure she’ll cherish for many years to come. Public proposals can easily go wrong. It can be mortifying if the person says “no” in front of so many other people, although that’s not what this man should be concerned about. 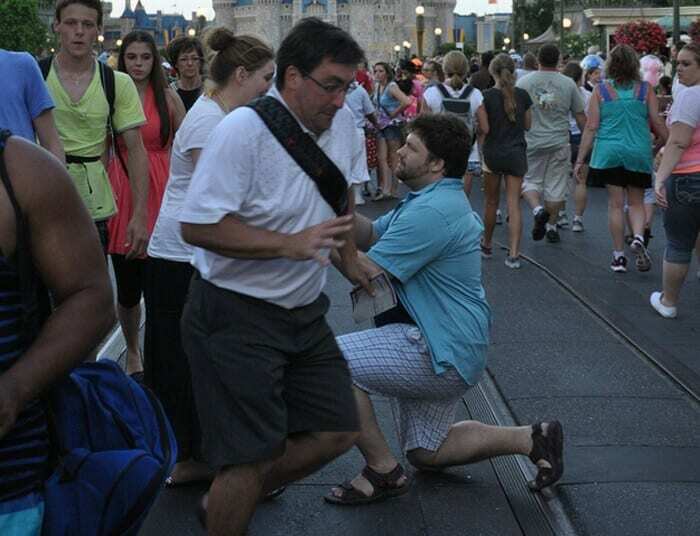 His girlfriend seems delighted by the proposal, but it’s hard to tell with their special moment being ruined by an awkward tourist. Hopefully, they’ll treasure this memory forever, because the picture of it isn’t so great. We suppose this is an obvious risk if you’re going to propose somewhere as busy as Disney World, though. 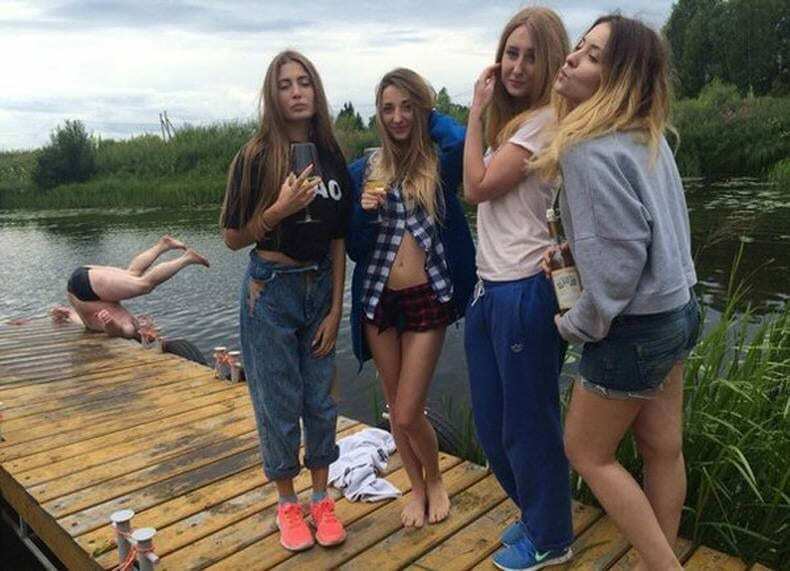 These girls wanted to look cool taking a photo by the lake. However, due to some unfortunate timing, they aren’t the center of attention in this snap. We’re presuming it’s one of their dads who seems to have slipped on the dock and found himself falling headfirst into the water. Typical dad behavior, making a show of themselves in front of their kid’s friends. We can hear them saying the words, “Dad, you’re so embarrassing,” just by looking at this photo. Weddings are a special day for the bride and groom. Every part of the festivities is all about them and the love they share with one another. At least, it’s supposed to be. It looks like someone didn’t get the memo here. While the married couple was cutting the cake, this man decided to poke his head up and steal all the attention for himself. He looks like he’s come from a festival rather than a wedding reception… maybe he has? 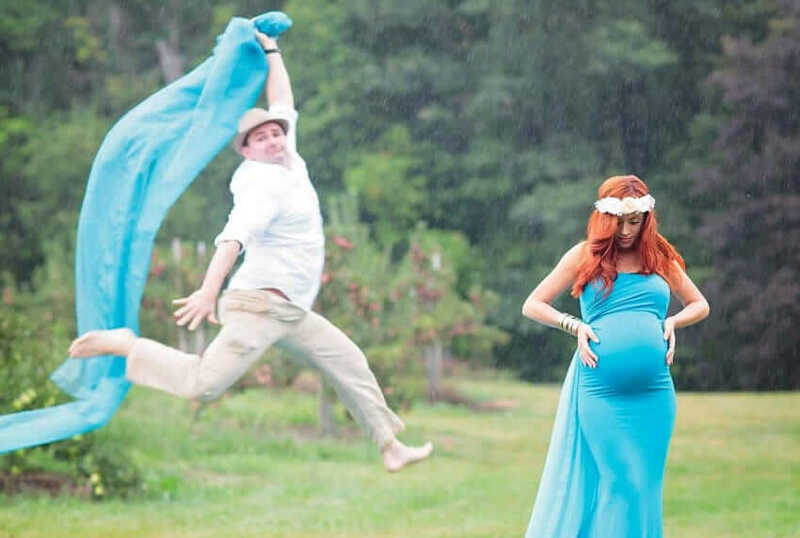 Another dad ruining his daughter’s special photo. We told you this is what they do. They try to stay on their best behavior until the cameras come out, and then all chaos breaks loose. We’re sure one day this daughter will appreciate her dad showing off his armpit hair right before she went off to prom, but maybe not straight away. We have to commend the man’s quick reactions though. We’re sure he wasn’t standing there like that waiting for the picture to be taken. Most photobombs are done in the background where no one will realize what you’ve done until the picture’s been taken. Of course, some people want to take things to a new level and ensure they aren’t excluded from the photo. That’s what this father did when he decided he needed to get as close to the camera as possible. No-one in the photo seems to mind, but it appears that he didn’t get the memo about smiling. Only a dad could pull that face on camera. The standard couple selfie. You see photos like this all over social media. Well, maybe not exactly like this. Normally, there isn’t someone smiling at the camera in the background. 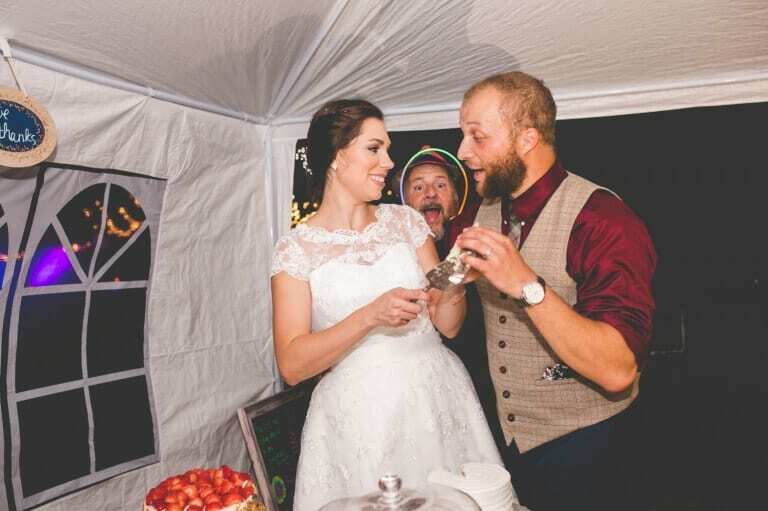 The couple here are clearly having a good time, but not as much as their photobomber. Whether he’s someone they know or just a stranger, we’re not sure. 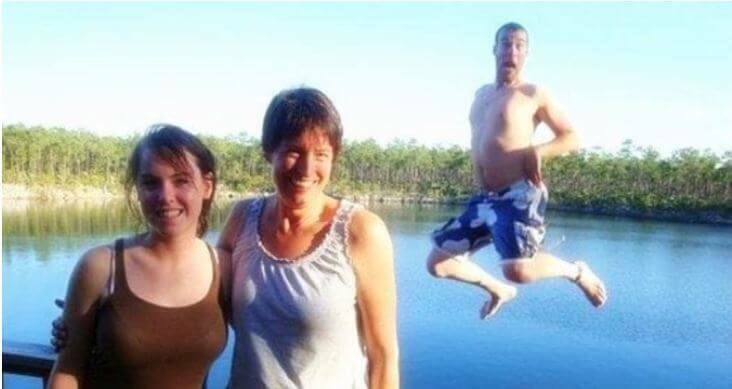 Whoever he is, though, he obviously felt justified getting involved in their photo. He looks pretty pleased with himself for successfully photobombing the pair’s picture. Some fathers may be criticized for not putting as much of an effort into childcare as their partner, but no one can insinuate this man isn’t doing his fair share. There’s now photo evidence of just how dedicated he is to looking after his child. It might not be necessary to get quite that close to check if your kid needs changing, but at least he’s thorough. 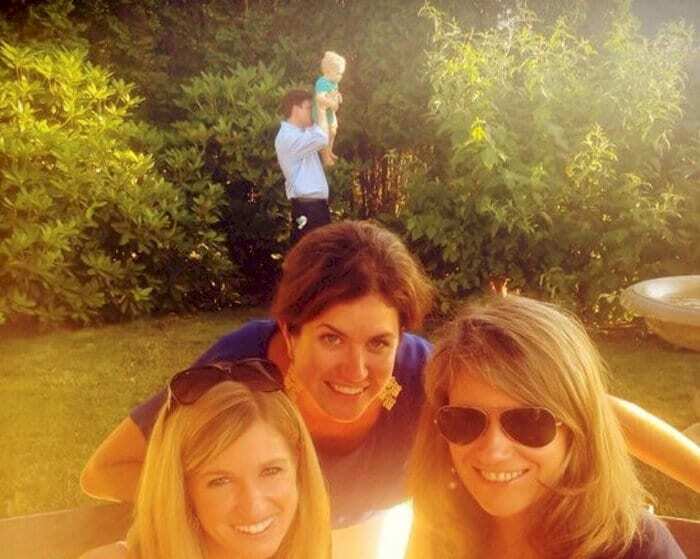 We’re sure these women weren’t expecting to be photobombed like this when they tried to take their nice, smiling picture out in the backyard. It’s such a shame that the camera didn’t catch this man in focus. Then again, the blurriness kind of makes the photo. Even out of focus he’s still the most captivating thing in the image. 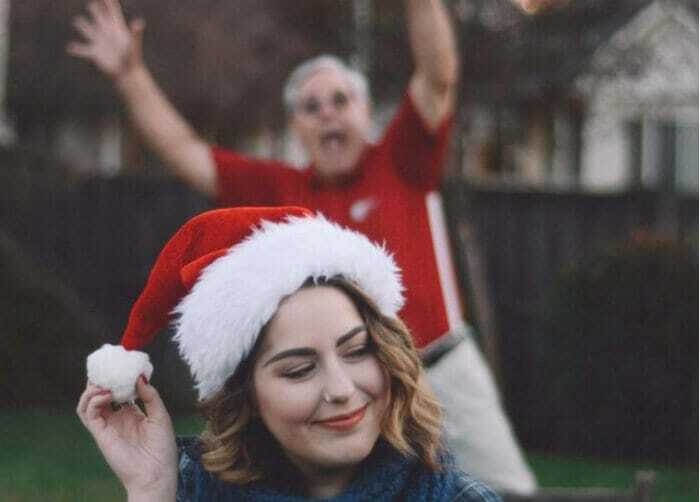 This girl probably wasn’t expecting to be upstaged when she took this Christmas photo, but that’s family for you. They know just how to ruin everything, don’t they? At least the end result is pretty hilarious. Even if this wasn’t what she was expecting, we’re sure she can appreciate how well the photo turned out. There are so many trends nowadays that it’s hard to keep track of them all. Things come and go so quickly that parents especially find it difficult to stay on top of everything. That doesn’t mean they don’t like to get involved though. Take this father, for instance. 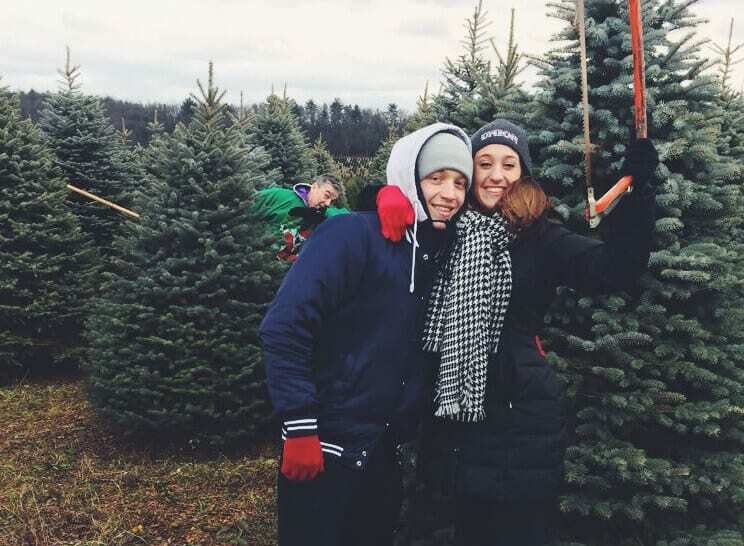 He took a break from finding the right Christmas tree for his family to interrupt their picture, but he didn’t do just any photobomb. No, he decided what the photo needed more than anything was him dabbing in the background. Some parents just don’t understand their children. So much has changed since their generation was young that everything they see their kids doing seems so foreign to them. Even posing in photos appears to baffle them. They ask “Why are you standing like that?” every time a camera comes out, but their children don’t understand what the problem is. 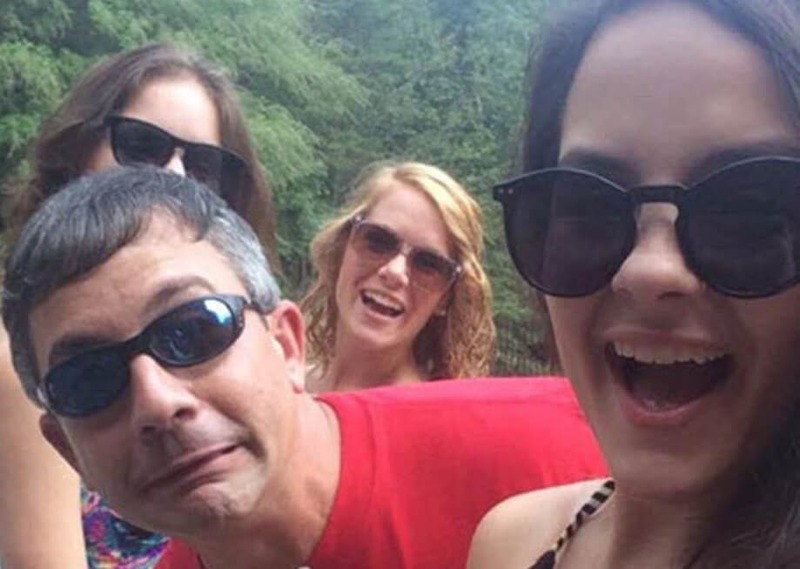 This dad decided to mock his daughter’s habit for posing by doing it himself in the back of her photo. He seems to be enjoying himself back there. It’s not every day that you’re pregnant, so you have to make the most of it while you can. Pregnancy photos have become increasingly popular, especially with celebrities like Beyoncé making such a big impact with them. This couple wanted to get in on the trend, but unfortunately for the mother, the attention wasn’t where she wanted to be. Unless, of course, they planned for her partner to leap into the air like this while trailing some blue fabric behind him. Maybe he’s just really happy to become a father. Although celebrities might enjoy being the ones to photobomb others, they’re not immune from receiving the same treatment in their own pictures. 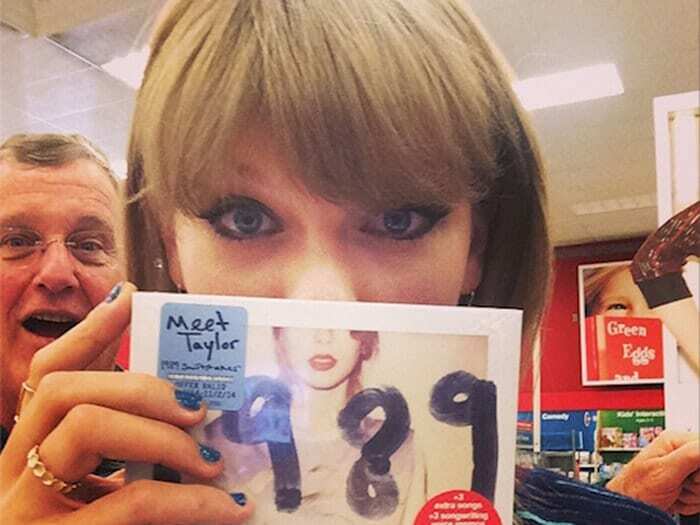 Taylor Swift found that out the hard way when her dad snuck into a photo she took with her album 1989. She was celebrating the release being out in stores, when he appeared behind her looking more than happy about his daughter’s achievements. At least he’s a very supportive father. We’re sure Taylor didn’t mind being upstaged by her dad. Will Oil and Gasoline prices go up under the new government?